Many people who choose to cruise the oceans are “addicted” to cruising. Some "professional cruisers" with 10 to 20 cruises under their belt will say "there is NOTHING to compare". First time cruisers beware - you too can become an addict! Ocean cruise holidays can be as relaxing, exciting, exhausting and enjoyable as you would like them to be. You can laze in the sun for hours; relax in the spa, cafes and bars; or participate in the never ending array of activities that the cruise ships offer from golf to movies, cabaret to casinos. It is the perfect holiday for families with children of any age, or for a couple on a romantic getaway. Many couples plan for a Honeymoon Cruise and what better way to spend your honeymoon than with a cruise holiday. Watch out for special deals on Last Minute Cruises and you will find they are very affordable. There are numerous ocean cruise holiday lines in every part of the world and the standard of cruises is getting better every year. What time of year will you be cruising? ​Where would you like to cruise? You may need to change your times to suit the weather conditions if you are locked into a specific destination. Which cruise liners operate in this area? This information is readily available on the internet but make sure you research thoroughly. 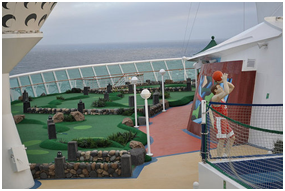 Some cruise ships may be old and need refurbishing. 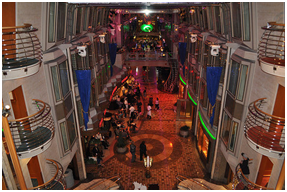 What type of cruise would you enjoy? Certain cruise lines, ships and locations have a reputation for being “family orientated”, “party cruises”, or “retiree cruises” Some are known to have more first time cruisers, or experienced cruisers. Make sure you choose the environment that suits you. When deciding on your cruise holiday, the size of the ship is important. Do you want a smaller, more intimate cruise experience or a larger ship with more people. The length of the cruise. If it is your first cruise and you are not sure whether this type of holiday is for you, it may be advisable to choose a short cruise to start with, and definitely a cruise that will be cruising through very calm waters. Your Cabin selection. It can be very luxurious to have a suite, with a balcony however, it is important to keep in mind the following. Everyone shares the same ship, activities and meals regardless of your ticket price. You will spend very little time in your cabin apart from sleeping and getting dressed, as there is so much to do on the ship and on port excursions. Before and after your cruise can give you a great opportunity to extend your holiday to take in more destinations and a greater variety of adventure. Find out more about Family Cruises. Every summer seems to be a bigger cruise holiday season than ever in Australia, with new cruise companies or ships coming to our shores. Read more. Would you like to experience cruising without going on the ocean? YOU CAN! Get some great prices on cruising from Cruise Direct. 7 Night Caribbean Cruises from $489 on MSC, only at Cruisedirect.com! Discounted Rates, Plus Exclusive Up to $1,000 to Spend On Board! 7 Night Cuba Cruises from $403 on Royal Caribbean, only at Cruisedirect.com! 60% OFF Second Guest, Plus Exclusive Up to $1,000 to Spend On Board! Hot Deal! 3 Night Bahamas Cruises from $189 on Carnival, only at Cruisedirect.com! FREE Upgrades, Plus Exclusive Up to $525 to Spend On Board! Hot Deal! 12 Night Caribbean Cruises from $249 on Norwegian, only at Cruisedirect.com! FREE Open Bar, Plus Exclusive Up to $500 to Spend On Board! 7 Night Transatlantic Cruises from $749 on Cunard, only at Cruisedirect.com! Exclusive Up to $1,000 to Spend On Board, Plus Last Minute Deals! 3 Night Bahamas Cruises from $660 on Disney Cruises, only at cruisedirect.com! Exclusive Up to $1,000 to Spend On Board, Plus Exclusive 10% OFF Shore Excursions!